It’s too early to predict the race, but there is a rule of thumb that is often applicable; voters in a presidential election prefer the candidate with the shorter last name. This rule of thumb may be affected by the state of the economy, but has worked well in many elections. Bush (four letters) versus Gore (four letters) was a virtual tie. Bush (4) defeated Kerry (5). Obama (5) defeated both McCain (6) and Romney (6). In 2016, Clinton (7) will defeat Christie (8) if nominated. 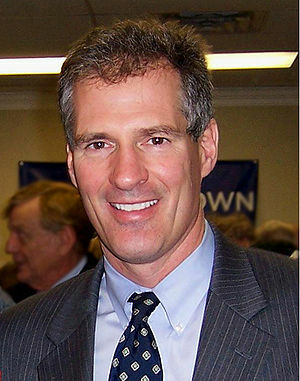 Former Senator Scott Brown (5) would do well against Clinton (7) if he enters the race and manages to secure the nomination. Cruz (4), Paul (4) and Rubio (5) might do well, but none of them will be nominated. I would like to see a different format for some of the debates among the candidates before the November, 2016, election. Assemble a group of either Democratic or Republican candidates for a panel and then assemble a group of reporters to question them. Allow the candidates to question each other and the reporters also. Don’t restrict the questions coming only from the reporters. Let’s see how much the reporters really know about the subject matter they are supposedly experts. It is shameful that the GOP have not nominated a credible candidate for US President since 1996. Bush in 2000 and 2004, McCain in 2008 and Romney in 2012. They owe the country better. If they can’t produce qualified candidates under their present nominating procedure, they must change it or perish from the political world. Just saw a black and white ad on the tube attacking President Obama. In the fine print, it said that the ad was not in support of a specific candidate. In a two candidate race, Barack and Mitt, if you attack one candidate, how can the ad not be in support of the other candidate? The polls and the GOP debates are useless. They do not help the voters to make a wise choice. The only thing the polls tell us is that the voters are undecided because they don’t like their choices and because they lack the information on which to base a decision. There are too many debates and they tell us little or nothing. The media treats the polls as a horse race and the debates as boxing matches. We could as easily place the candidates in a fighting cage and select the victor as the candidate. That would only tell us who is the physically fittest, not who is qualified to be president. I would replace the debates with TV programs in which the candidates respond in writing to written, pertinent questions. The candidates need not be on the program in person, only their brief answers which could be compared on the air to the answers supplied by all the others. 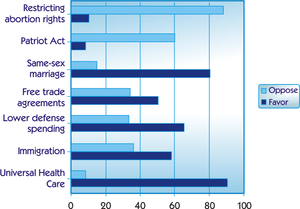 Voters could study the answers later at their leisure on-line. I would require that the answers be brief and not refer to the other candidates. In many cases, answers could be limited to three choices: yes, no or declined to answer.